Vintage Colour Old Undivided Back Postcard. Australia Australian Flowers. 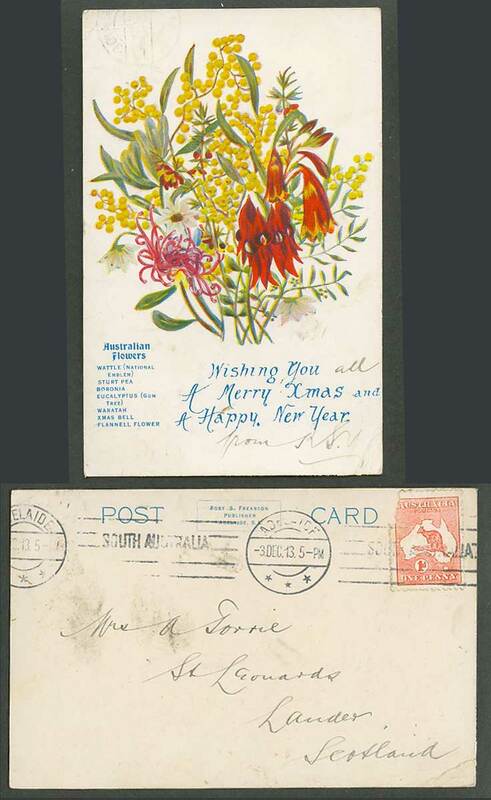 Wattle (National Emblem) Sturt Pea Boronia Eucalyptus (Gum Tree) Waratah Xmas Bell Flannell Flower. Greetnigs, Wishing you a Merry Xmas and a Happy New Year. Postally Used in 1913.